About “Bento”, please visit Wikipedia. Hoka hoka bento is one of the food you have to try while staying in Japan. 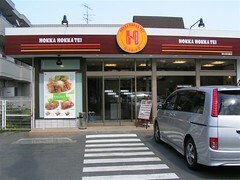 Lot of Japanese love Hoka-ben (We often call Hoka-hoka-tei which is major bento chain). A lot of visitors from overseas love Hoka-ben once they have. Hoka-ben is very different from “lunchbox”. You have many different food in one box. You can feel Japan in it!